When out-of-towners visit our fabulous midwestern city, many comment on how friendly we are around here. 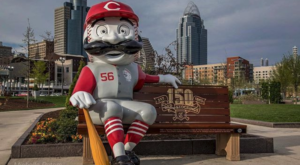 If you’re a local, you may not realize it, or perhaps you do know that we are lucky to live in such a welcoming city. If you have any doubts that this is true, then plan a visit to The Friendly Stop Bar & Grill in Glendale. 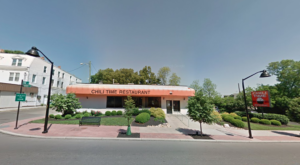 This local, neighborhood eatery is not only a friendly restaurant – it has been a hidden gem for years and is so worth a visit. 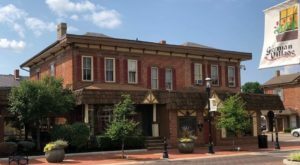 Located in the heart of Glendale, Friendly Stop is housed in a colorful, historic building that's been around since 1907. 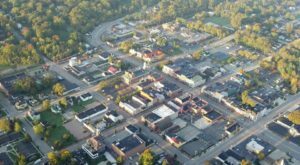 This neighborhood eatery is well-known by its regulars, but many in Cincinnati have yet to discover this hidden gem. 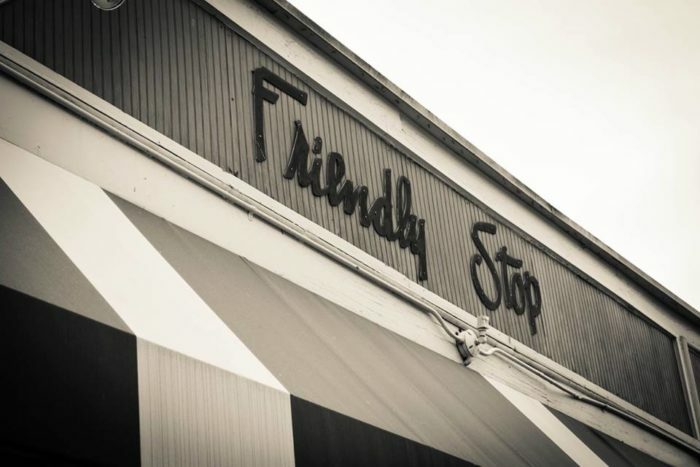 As its name suggests, Friendly Stop is indeed a friendly place to stop for a bite to eat. The atmosphere feels like a mixture of a sports bar, a family-friendly restaurant, and the TV show Cheers. 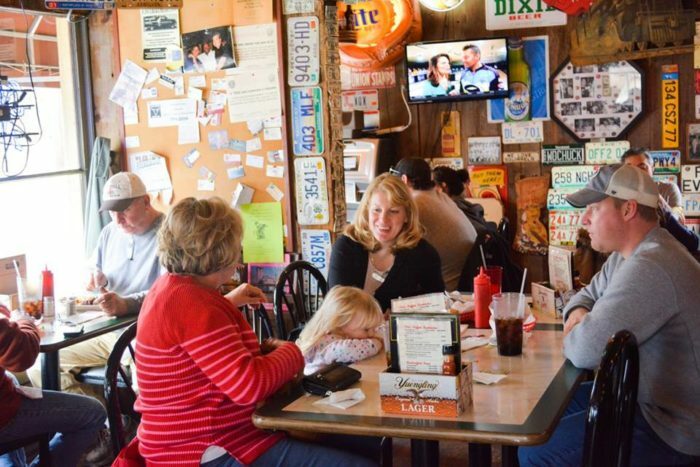 Friendly Stop is perfect for a meal and watching the game, or for a family dinner. If it's your first time walking through the door, you'll first notice the eclectic decor, as well as the friendly staff and regulars who have obviously created something special in this hidden gem. The restaurant has thrived thanks to its friendly appeal and its delicious menu. 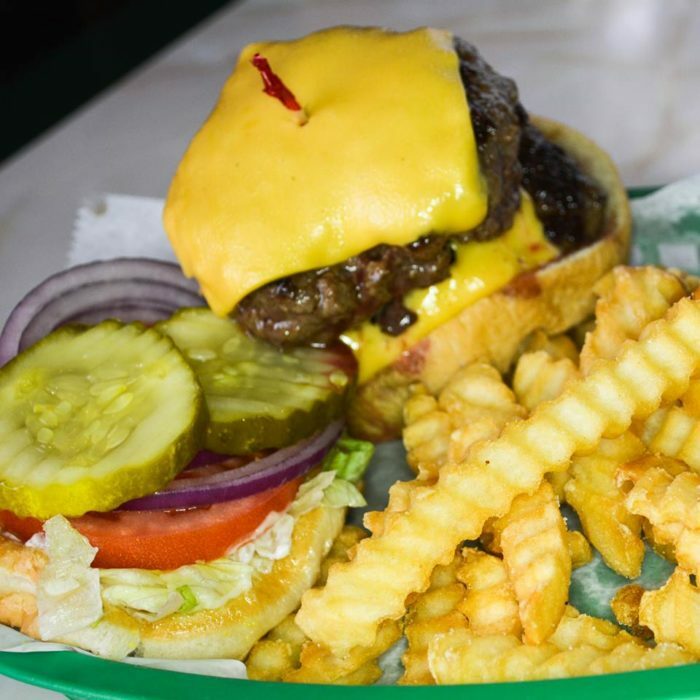 Many consider the burger here to be the best in Cincinnati, as well as one of the best values for a great meal in town. 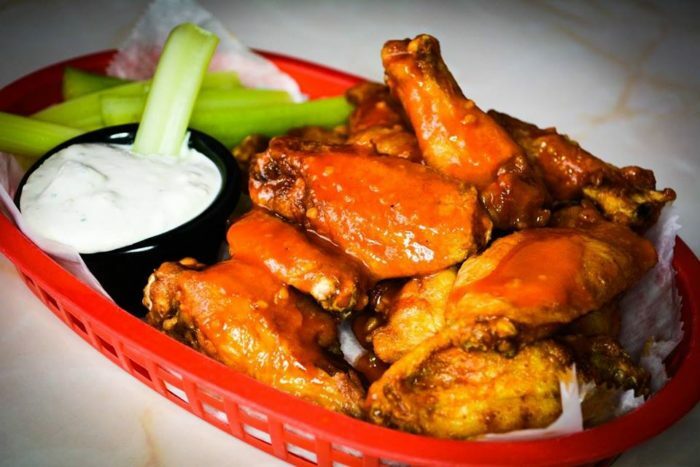 The mouthwatering options do not stop there, as the menu also includes flavorful wings, incredible chili, salads, sandwiches, and entrees like meatloaf and mashed potatoes. Friendly Stop is the ultimate place for comfort food, and you may not even be able to get past the starters on the menu. 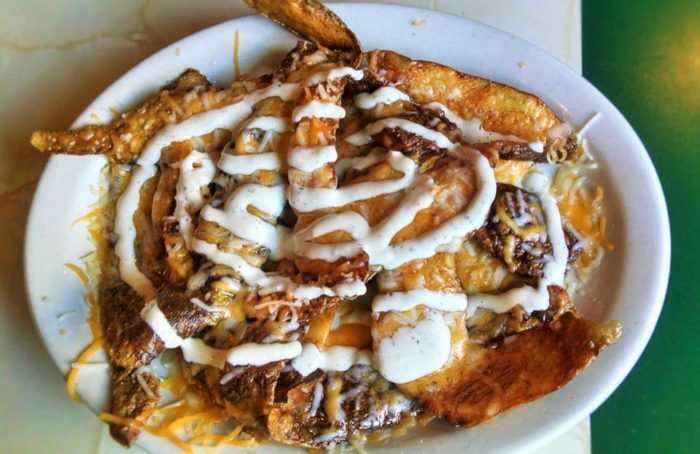 Order a few, including the Potato Rags (pictured below), and chow down. 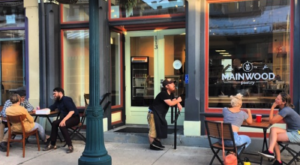 When the weather is nice, head upstairs to the outdoor area. 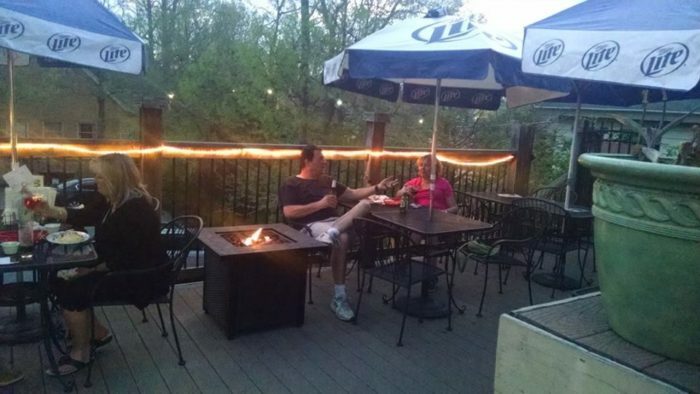 Even if it's crowded, this patio has a relaxed vibe and still allows you to enjoy the delicious food and drinks. Friendly Stop definitely has a nostalgic and whimsical appeal to it, which is what makes this eatery a local favorite. 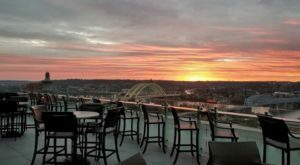 If you're not already a regular, grab a friend or two and make plans to share a meal at the friendliest restaurant in Cincinnati. 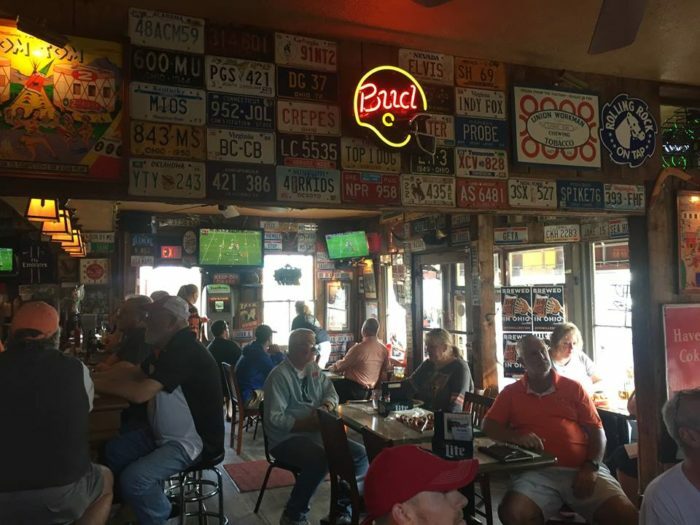 The Friendly Stop Bar & Grill is a welcoming restaurant where both regulars and new customers dine and socialize together, as they have done for decades. Have you enjoyed a burger and a game at this Glendale hidden gem? Share your experience with us in the comments! 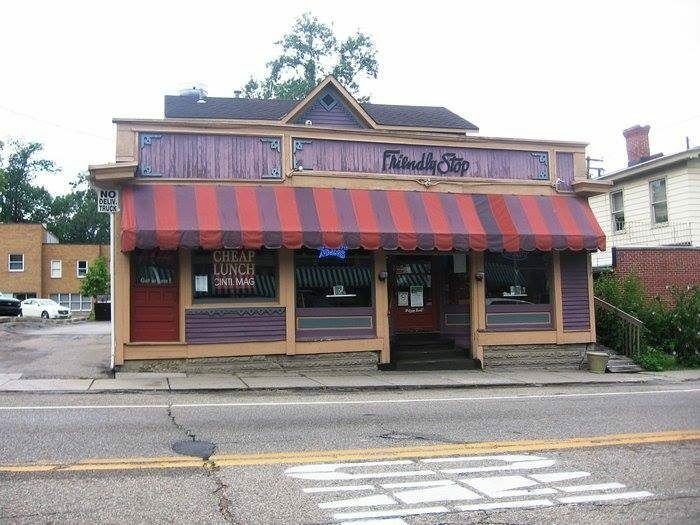 The Friendly Stop Bar & Grill is located at 985 Congress Ave., Glendale, OH 45246. 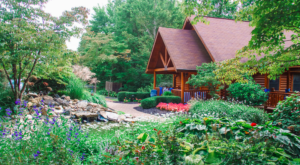 The kitchen is open Sunday through Thursday from 11 a.m. to 9 p.m. and on Friday & Saturday from 11 a.m. to 10 p.m.
For more information, visit its website here and follow along on Facebook here. 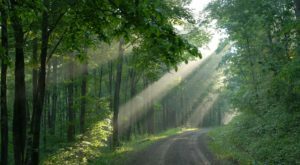 And for another charming spot to visit in Glendale, check out our previous article here.